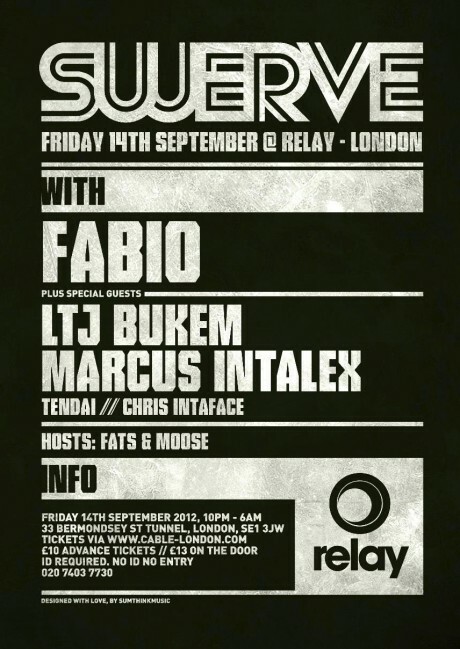 The legendary Swerve sessions relaunch tonight at Relay, featuring a mindblowing lineup: Marcus Intalex, Bukem, Fats and resident Tendai alongside Fabio. Scroll right down for more details. To mark the event, Tendai gave us a something different style mix and opted to go in deep on influences. He describes it as ‘a mix of old school hip hop & new school beats with sprinklings of boogie & neo-soul’ and it’s called ‘The Departure Lounge’.